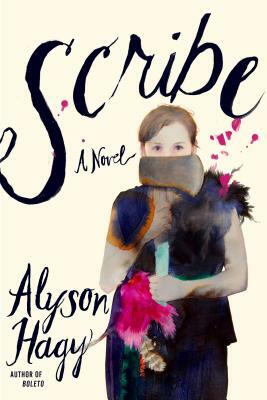 Scribe: A Novel (Paperback) | Fountain Bookstore, Inc. Sometime after a civil war and epidemic of fevers, life in the Blue Ridge Mountains of Virginia has resorted to barter and trade economies, and an unstable peace is maintained by bargains and offerings. Our main protagonist offers use of her land for migrants known as the Uninvited as well as her skill in writing letters. When a suspicious stranger arrives requesting such a deal, it triggers a series of events to upset the delicate balance of the area. Hagy's prose is beautiful, and she combines a traditional southern style of writing with a modern and original story that is a commentary on today's social and political issues.